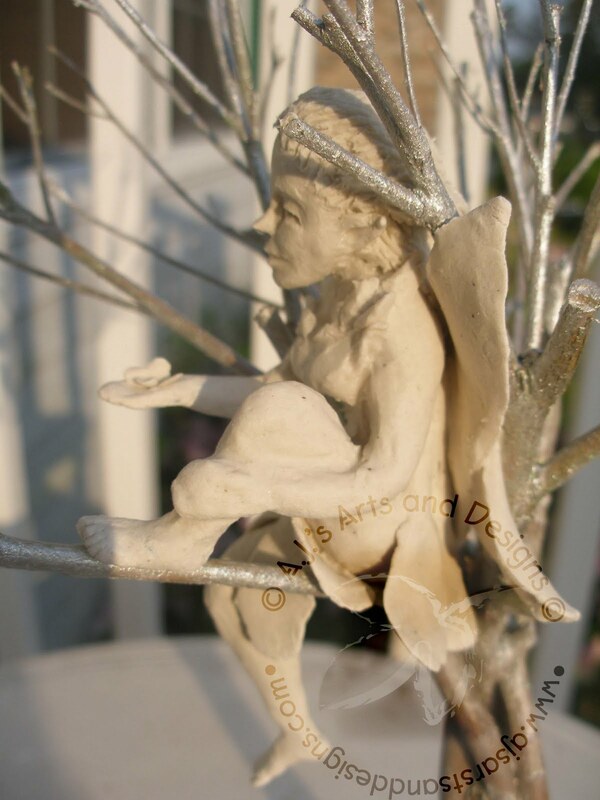 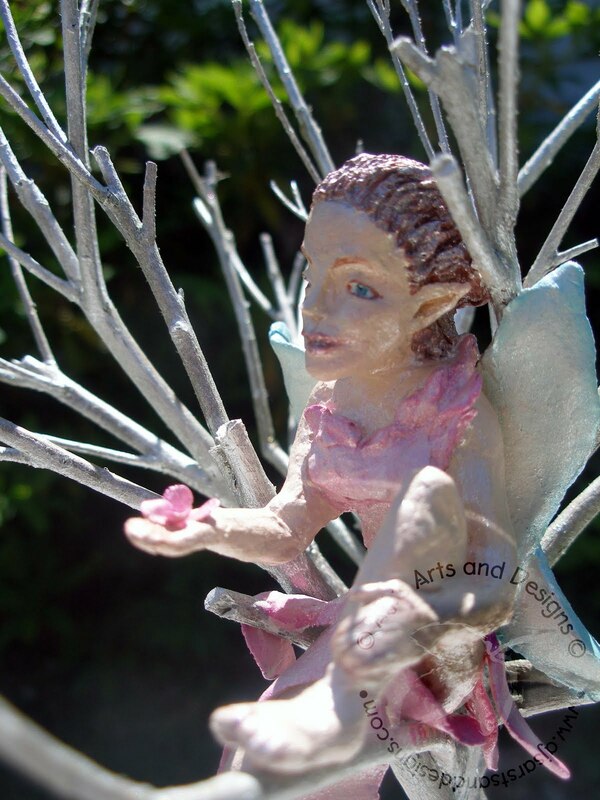 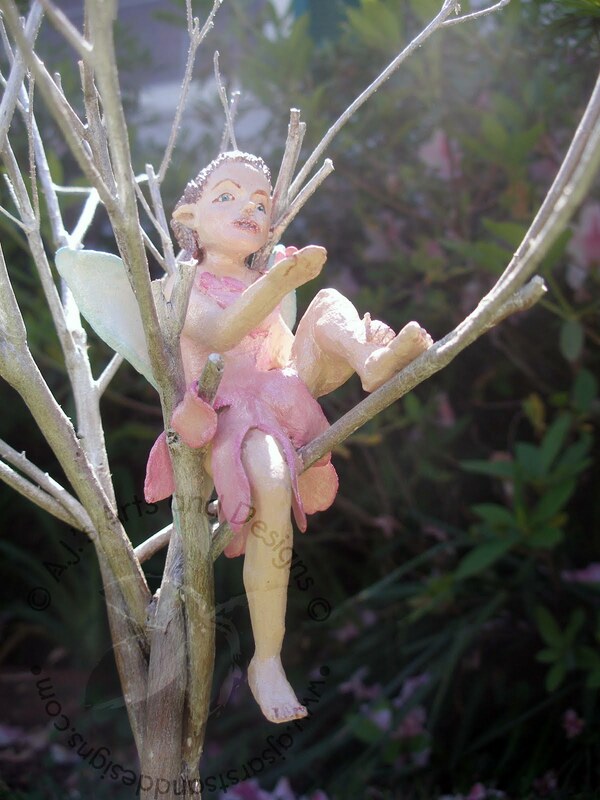 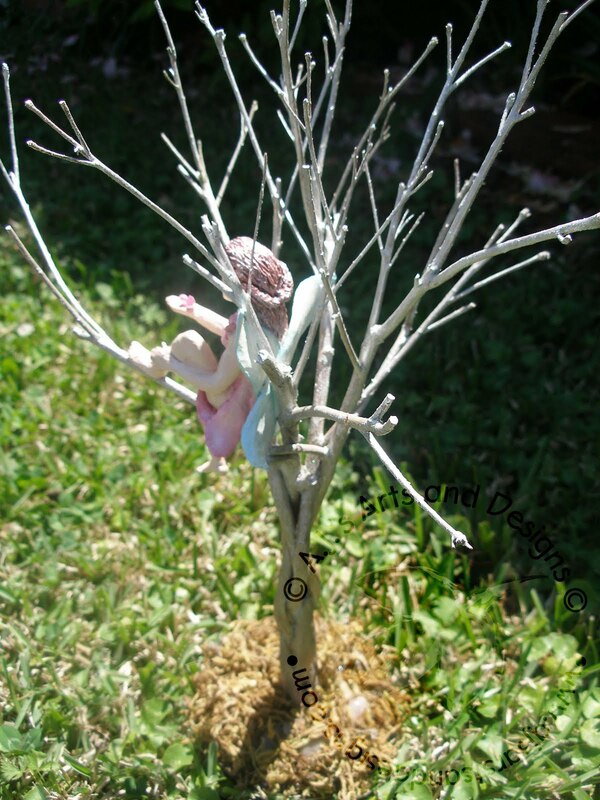 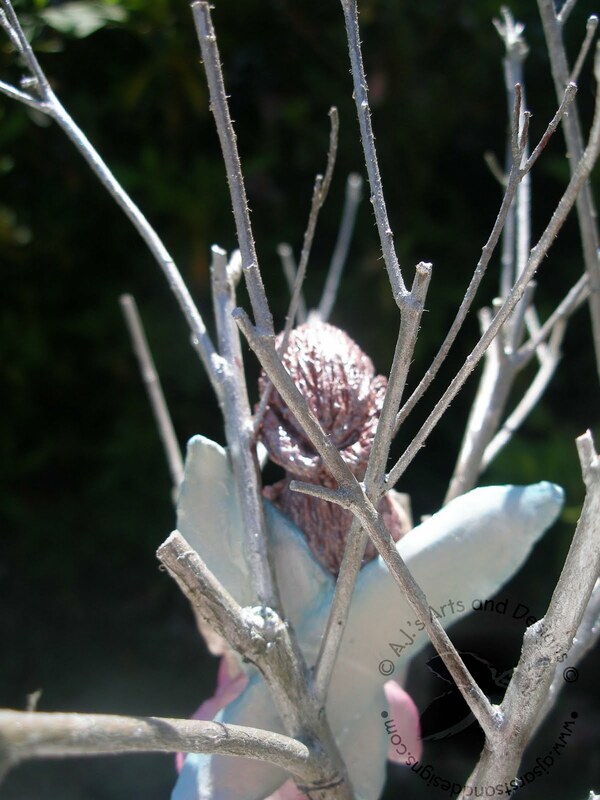 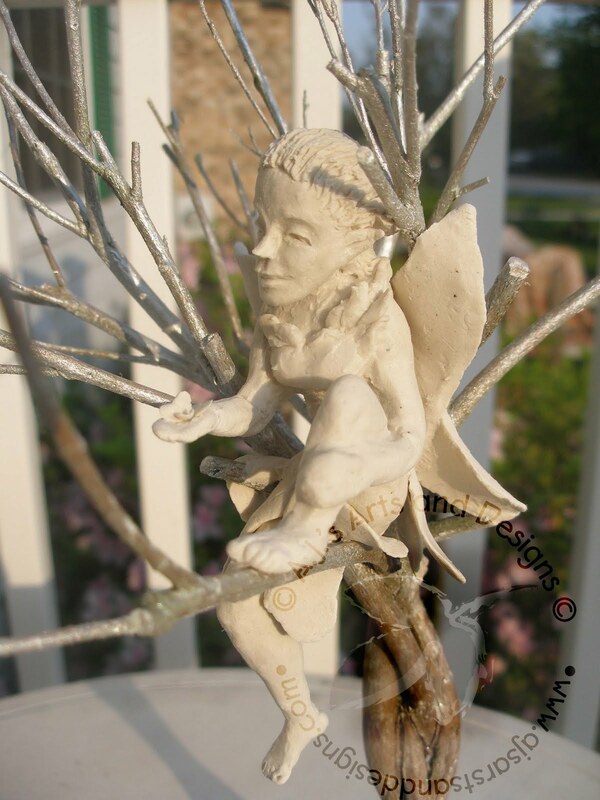 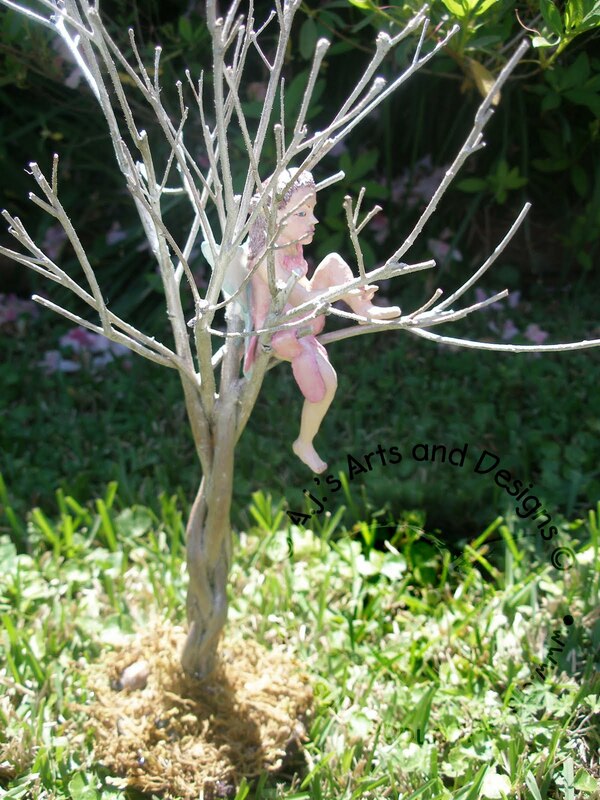 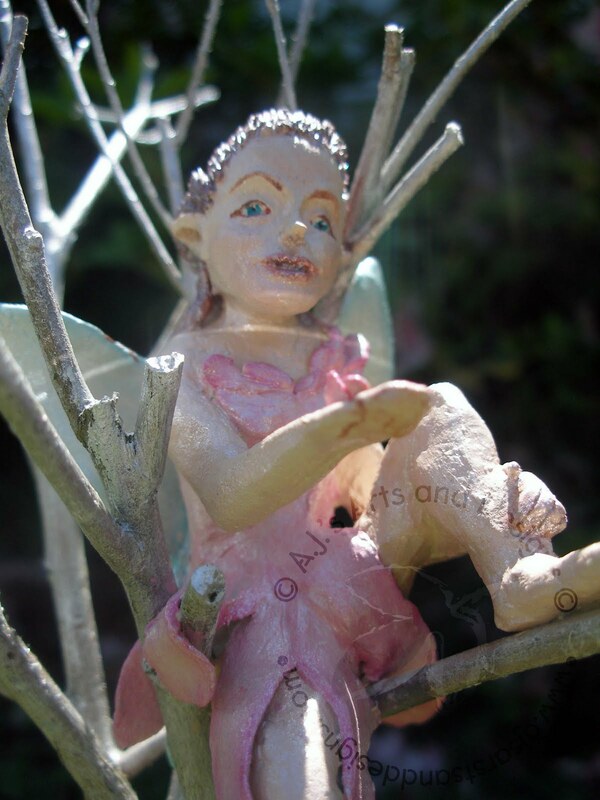 Paperclay Design Team – Submission #2 Fairy (PICTURE HEAVY) | Who Are You Calling Crafty? 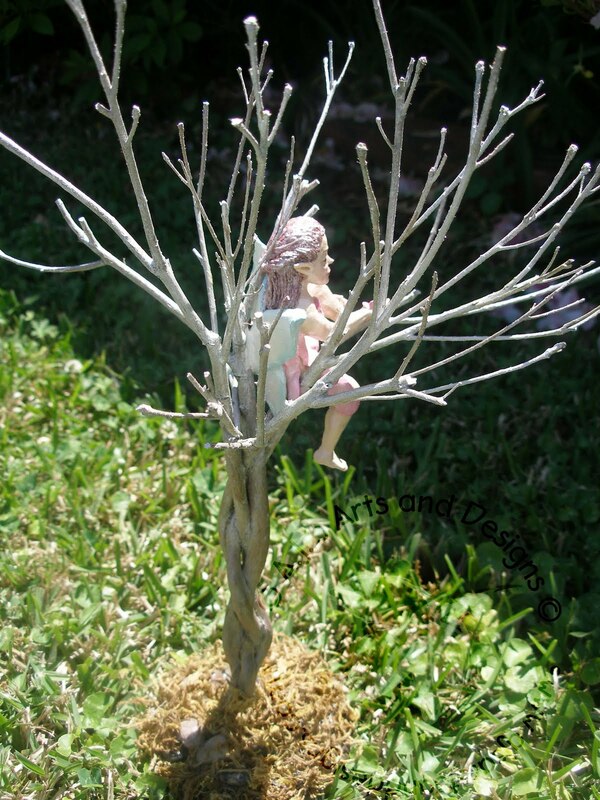 Since I have a Fairy Princess of my own, I asked her what I should make with my Paperclay. 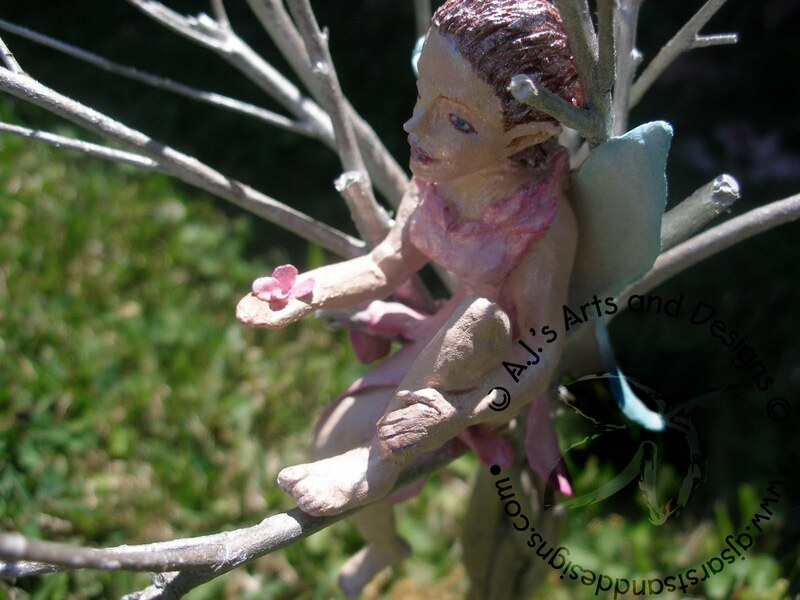 She of course said a Fairy! 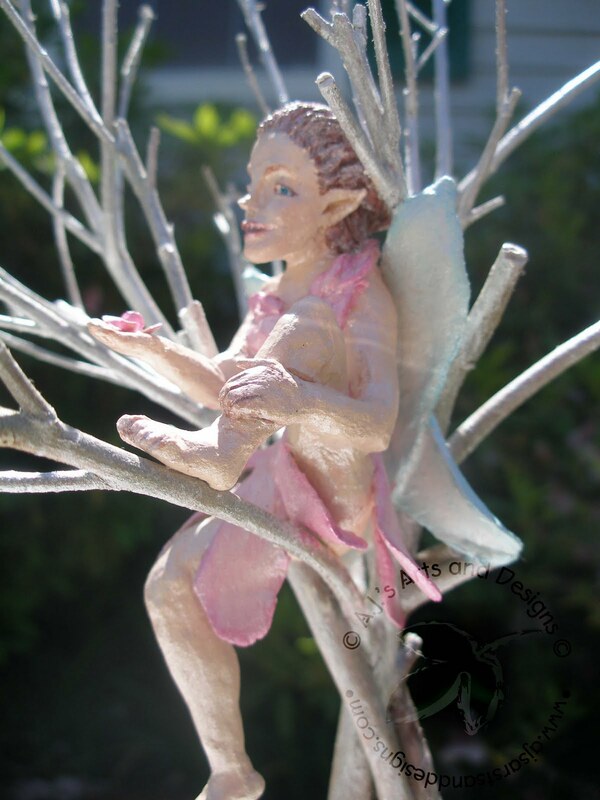 I was extremely skeptical when she suggested a fairy, but I figured why not? 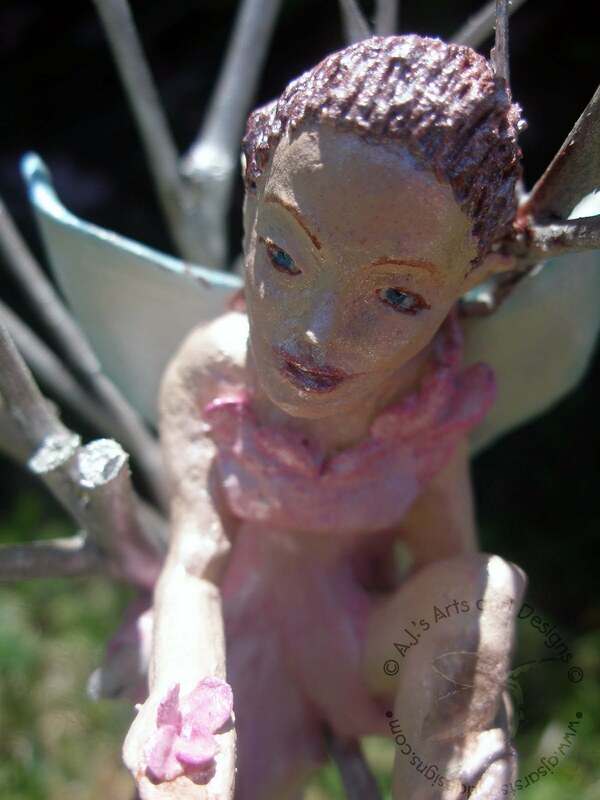 I knew my fairy needed something to sit on. 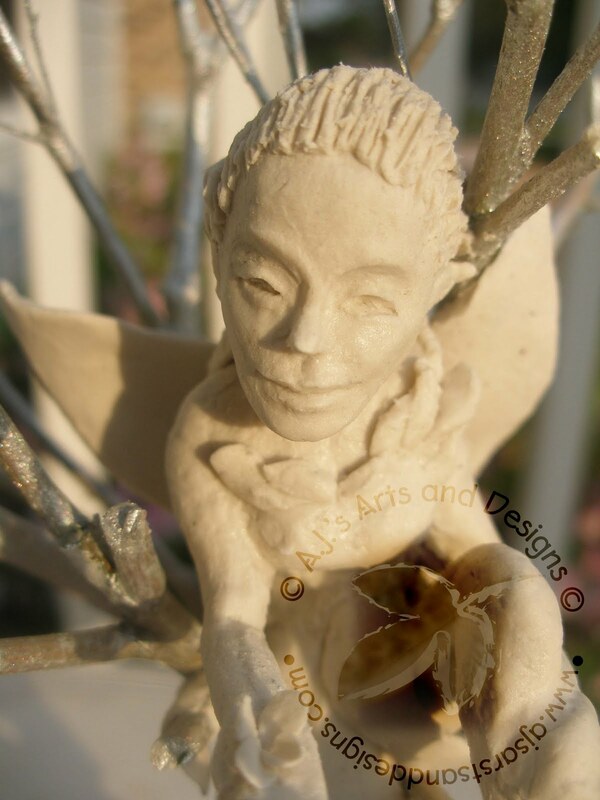 At first I thought a mushroom out of Paperclay would work. 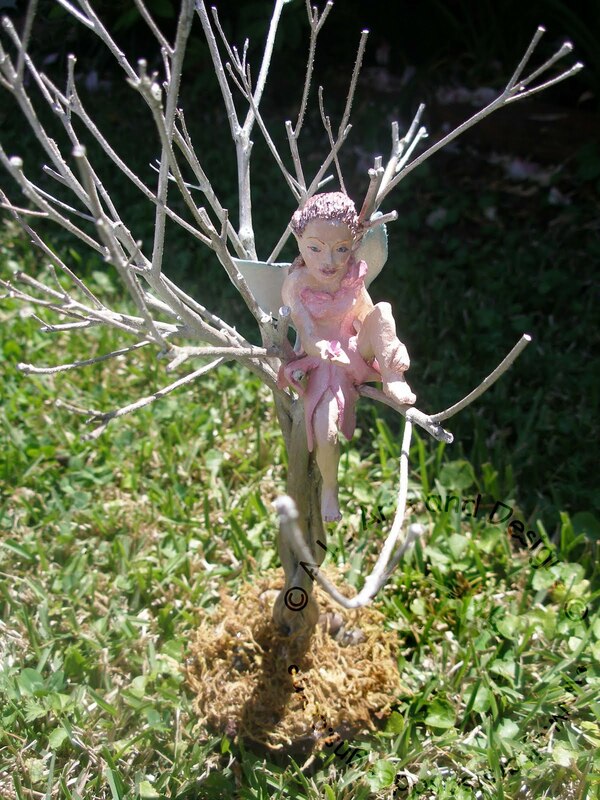 I was drinking my coffee and looked out my window and saw the pot were the dead Rozalea bush and I knew that would be perfect for my fairy. 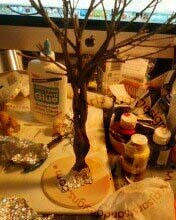 Tree base glued to a round piece of wood. 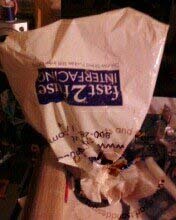 I at first used E6000 glue, this DID NOT WORK. 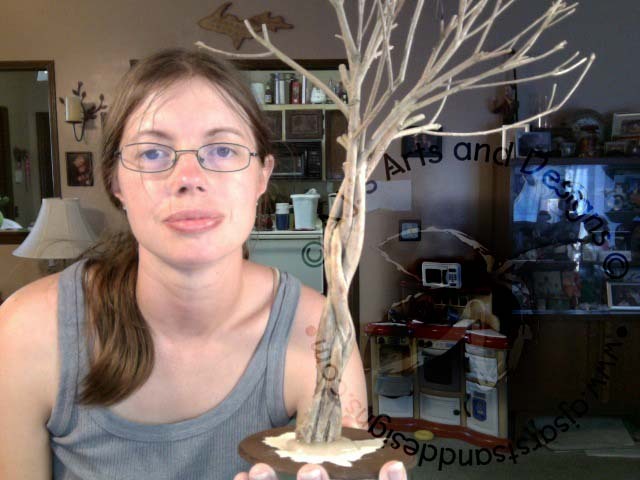 I ended up hot gluing the tree to the base. 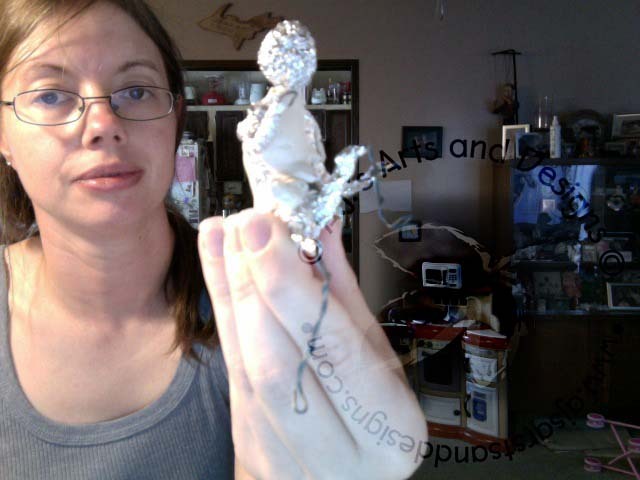 What my wire armature looked like – made from Wire and Aluminum Foil. 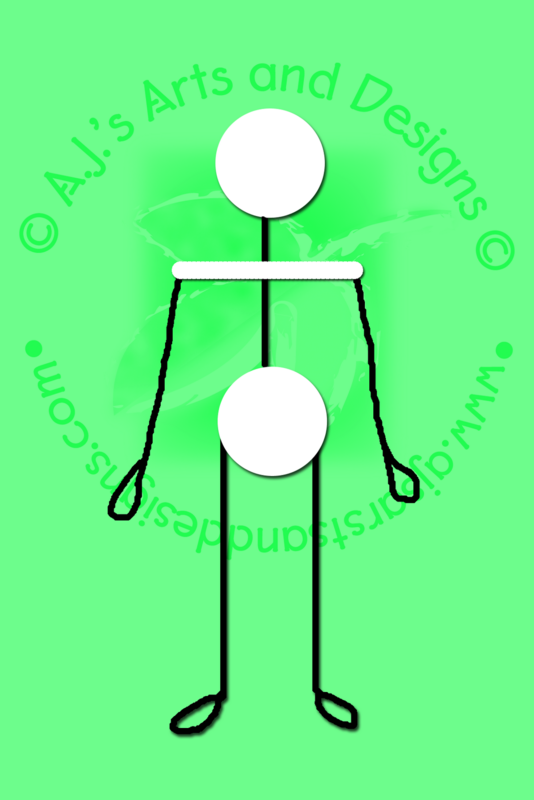 I drew a sketch in Photoshop because I forgot to take a photo of the armature without clay. 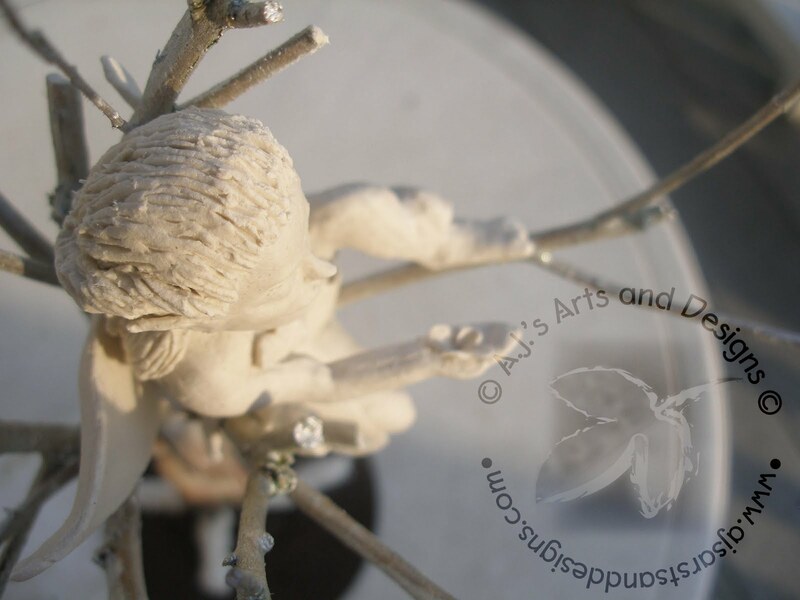 I bent the wire into the position I wanted and started covering it with the Paperclay, and then I remembered to take a picture of the armature. 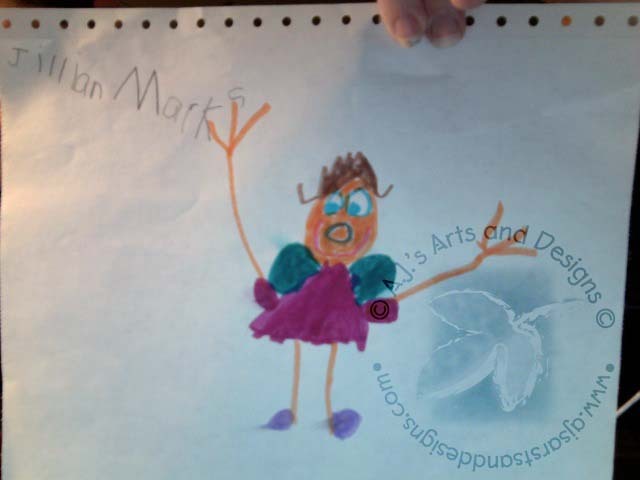 The drawing my daughter drawing did of what the fairy should look like when I finish. 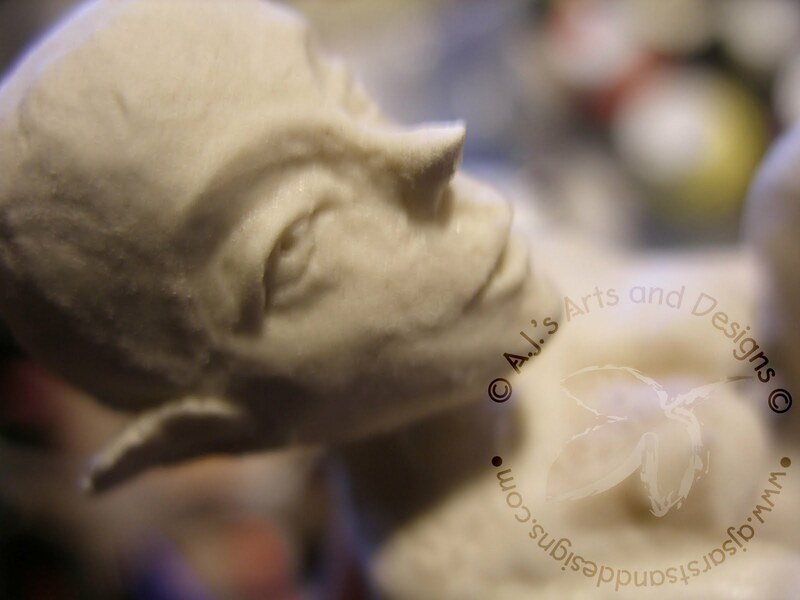 More Work in Progress – I added the face, nose, ears and mouth. 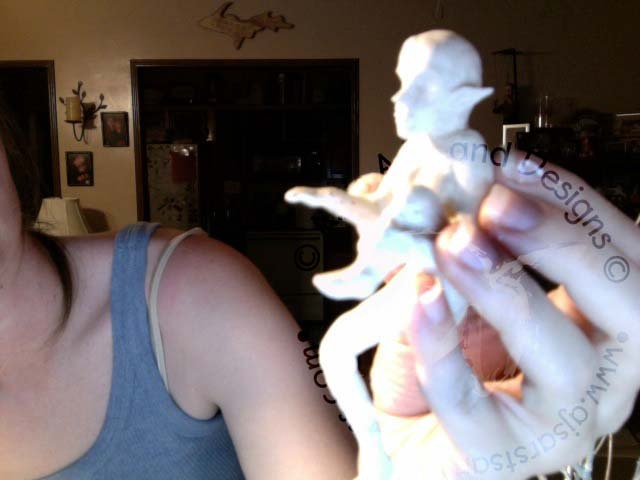 I added the foot and formed the chest. 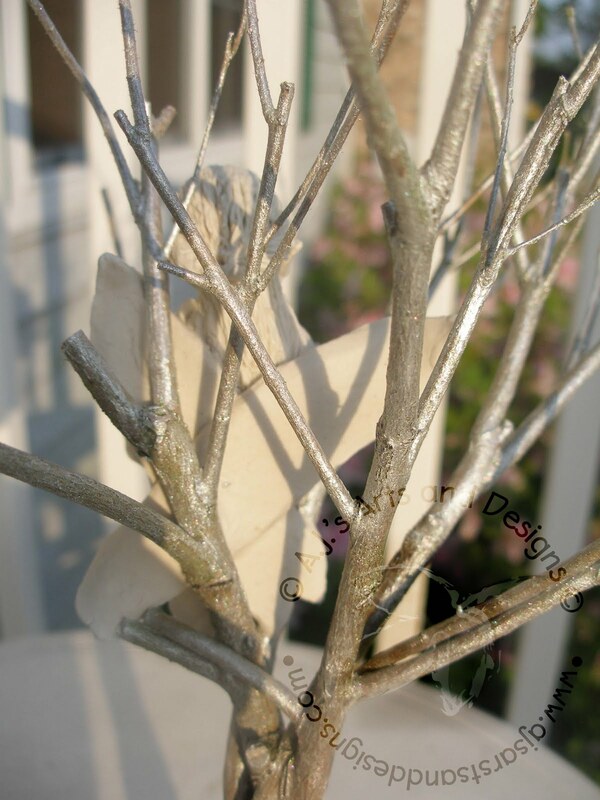 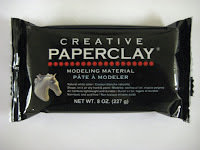 With Paperclay it is extremely easy to add and remove clay (even after the clay has dried). 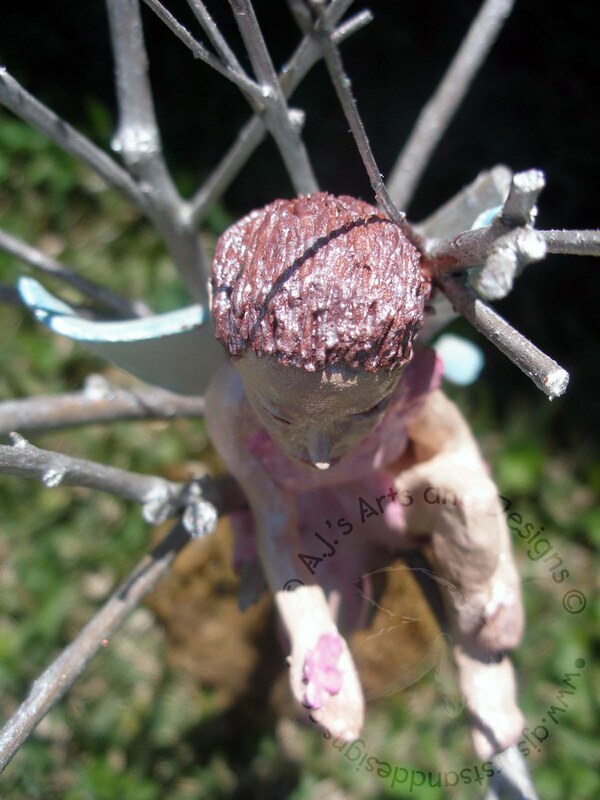 I did keep a spray bottle full of water handy so I could keep the clay wet. 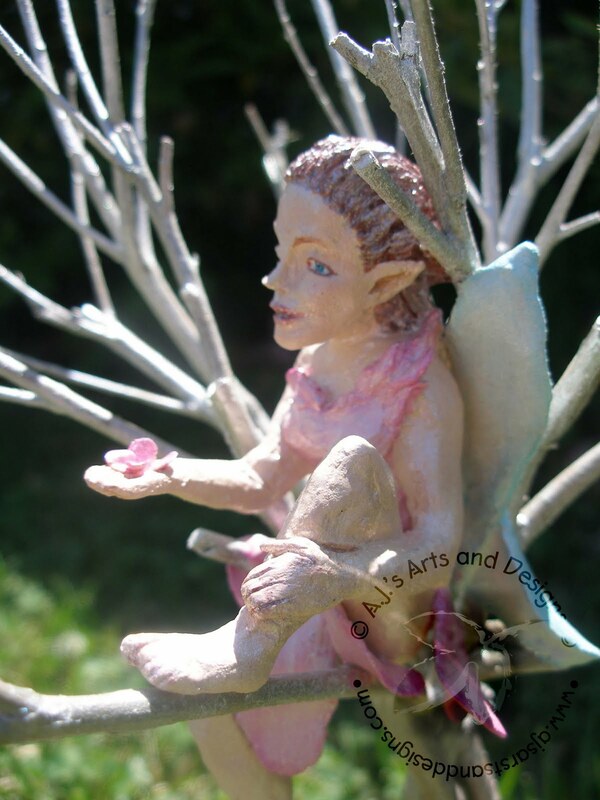 Storing the Fairy for overnight storage. 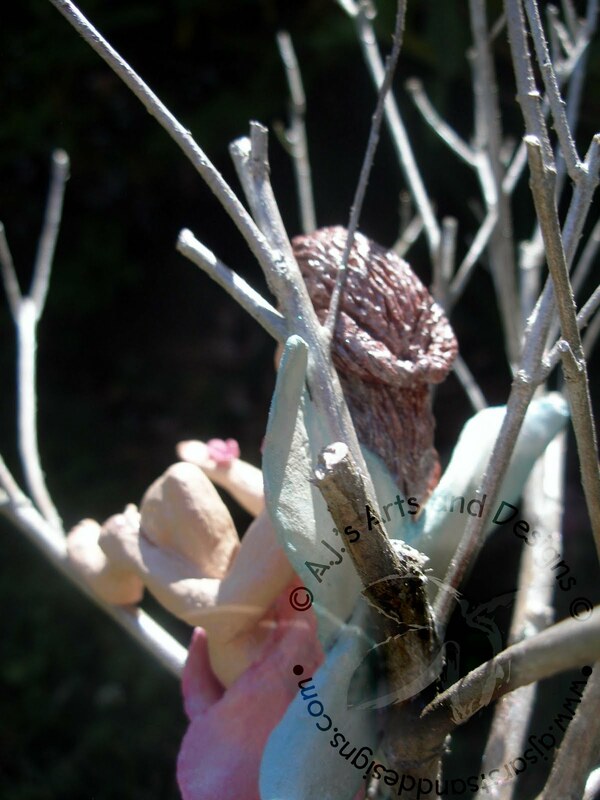 I wrapped the fairy in moist paper towels, covered it with plastic wrap and then placed the bag over the fairy, tied with a pipe cleaner. 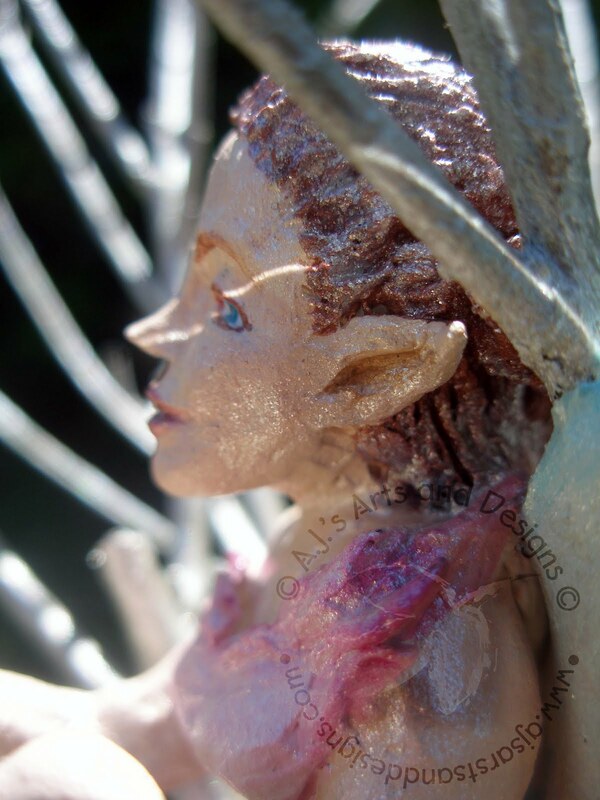 Since this project is for a Design Team, I took the Fairy outside before painting her so I could get some better photos of my progress. 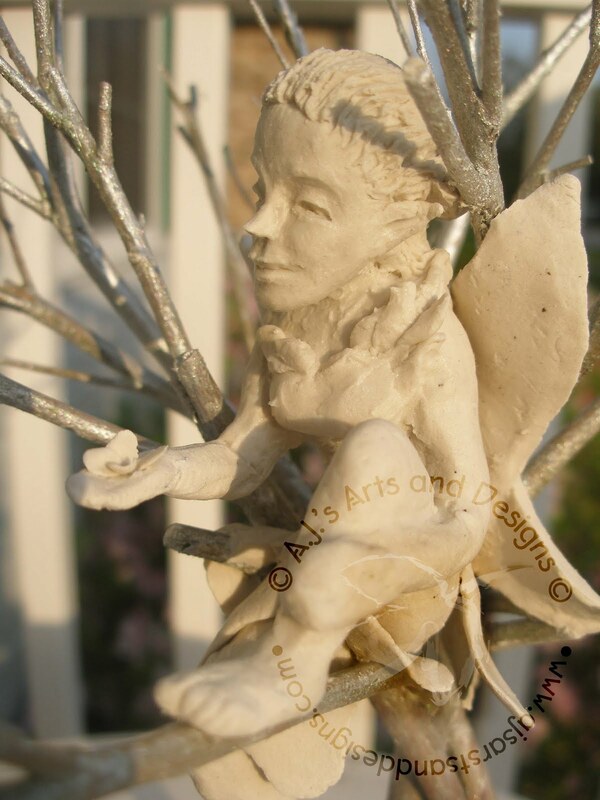 This was so I could show the detail of the Fairy. 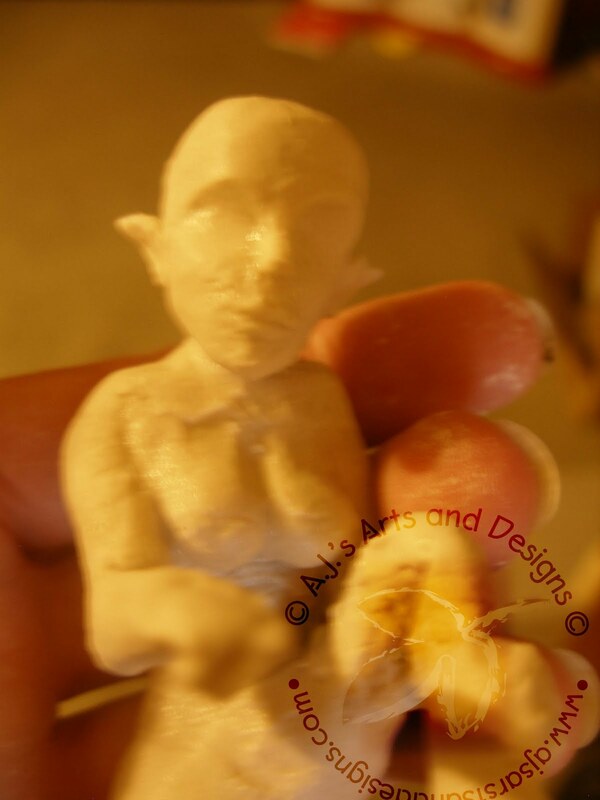 I found the Paperclay very easy to work with. 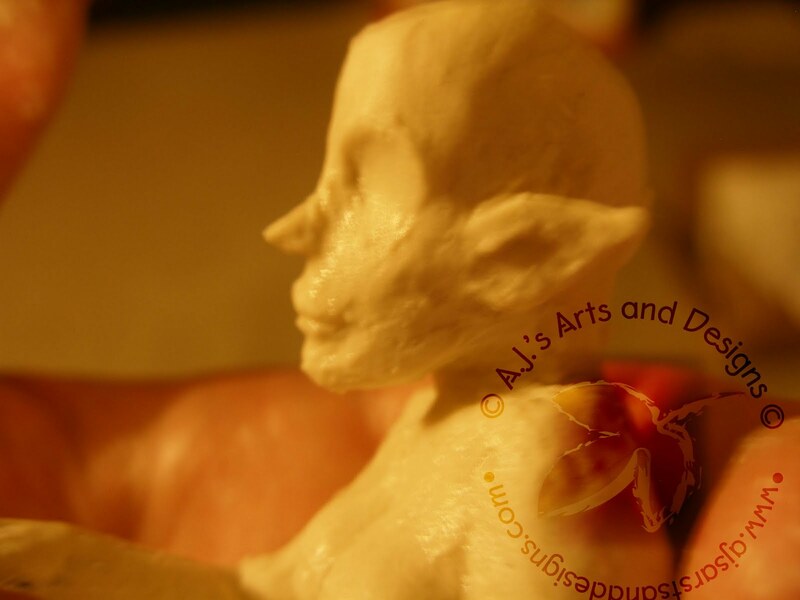 It is very similar to an earthenware clay (without the work). 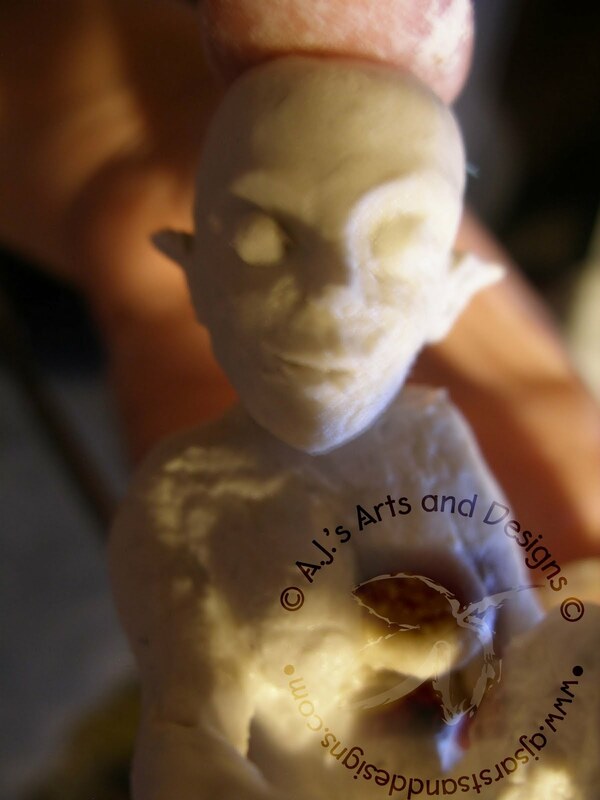 I mentioned earlier that the Paperclay was extremely easy to use even if it was dried. 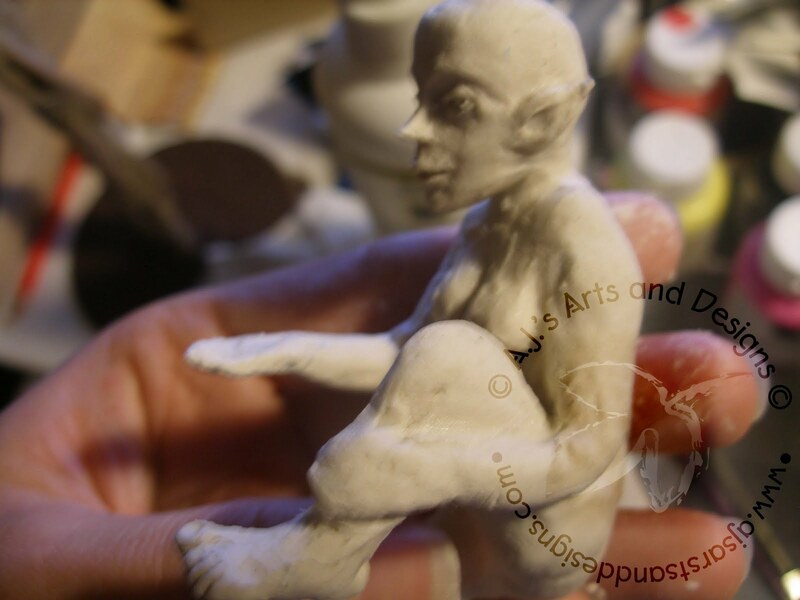 I carved into the hand after it had dried because I did not sculpt detail originally. 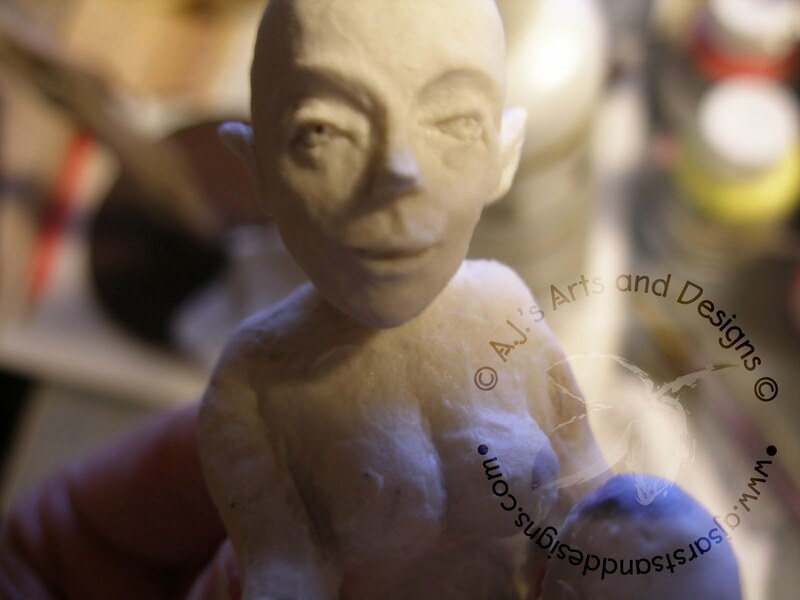 I tried to paint the detail and it did not look right, so I carved into it with an Exacto knife and curved sculpting tool to form fingers. 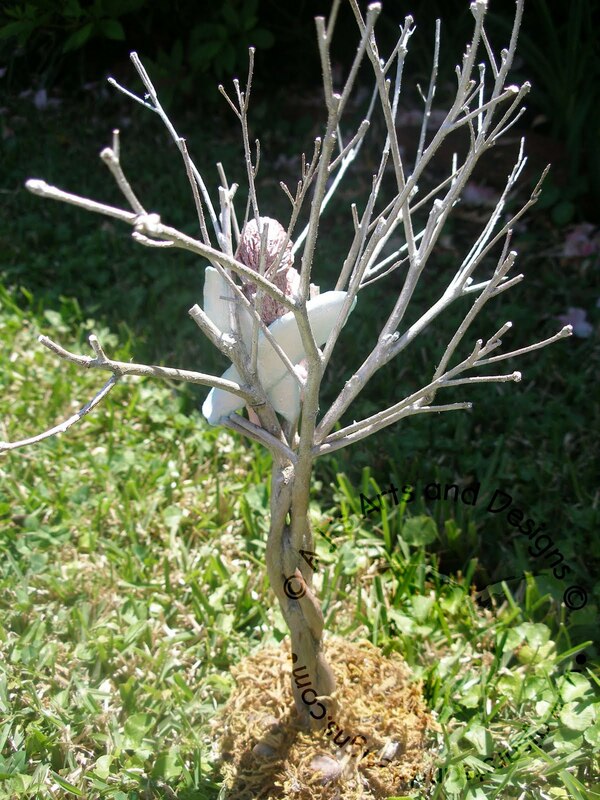 I then added water to smooth it out and it worked perfectly. 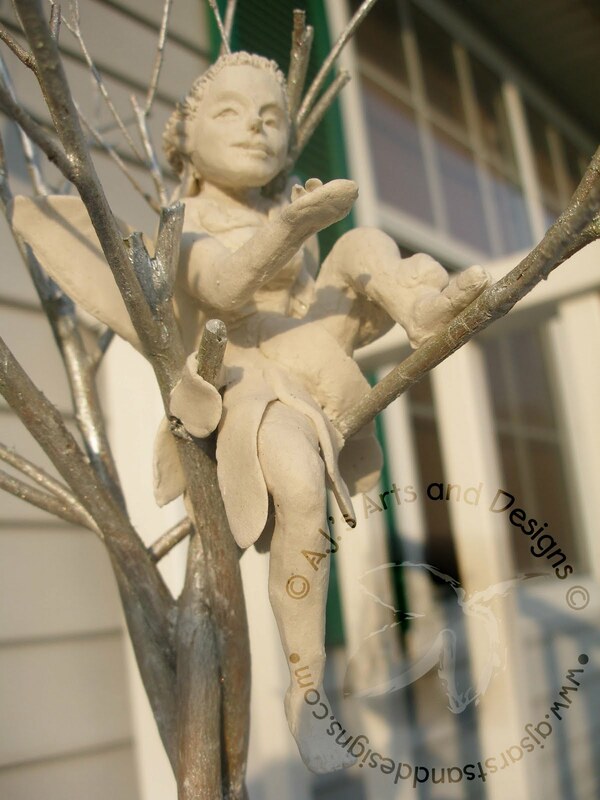 I was very impressed with how well Paperclay takes paint. 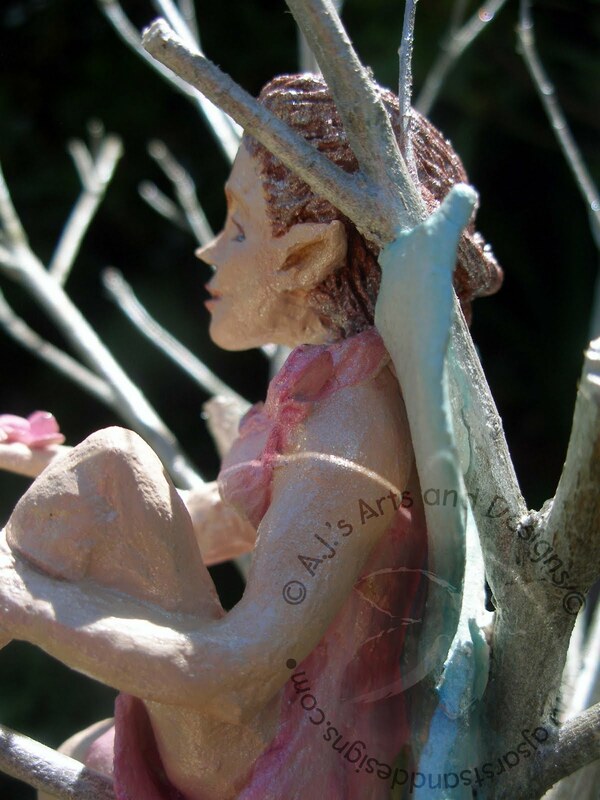 With some clays the paint is absorbed into the clay itself. 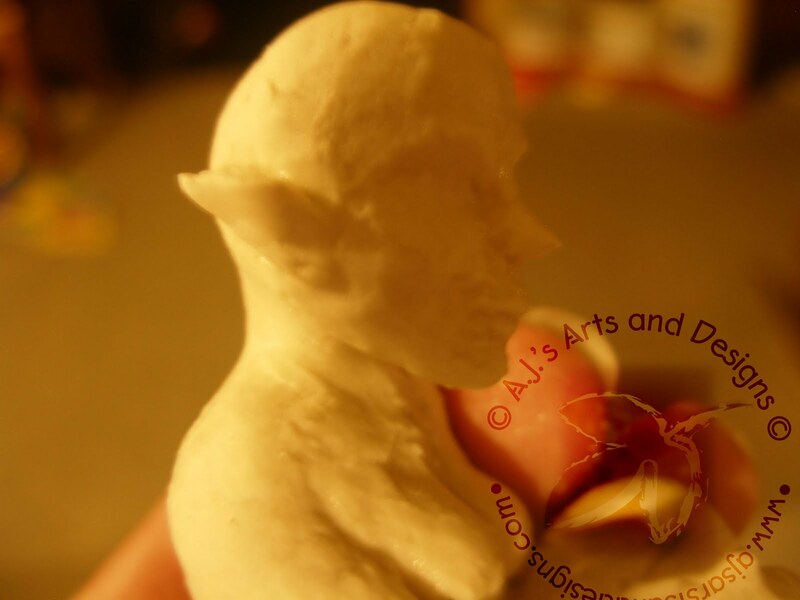 The Paperclay lets it sit on top almost like a glaze, but it did not peel off or flake. 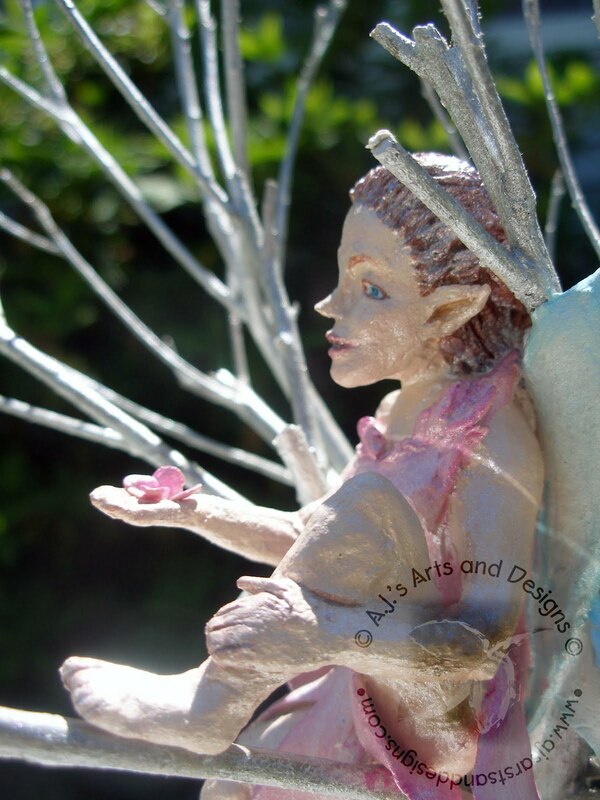 I used basic Craft Paints to paint the Fairy and Liquitex Iridescent Medium to give the fairy a glow. 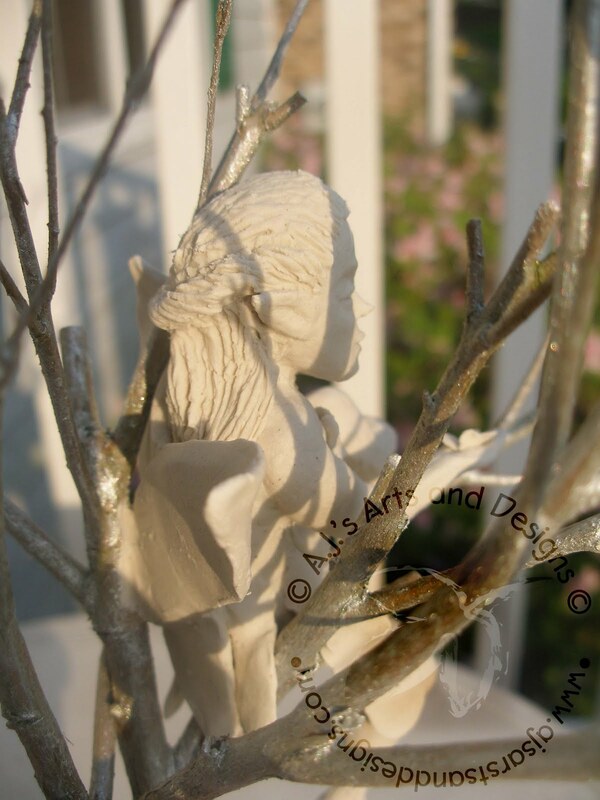 I was extremely impressed with this piece and the ease of Paperclay. 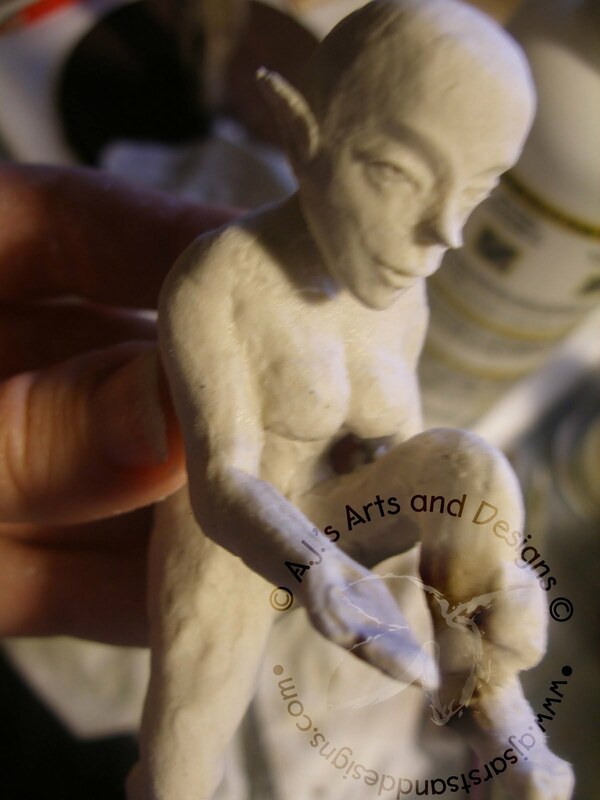 I found the Paperclay to be the closet to an earthenware clay, which I personally miss working in (this clay really filled the void for me). 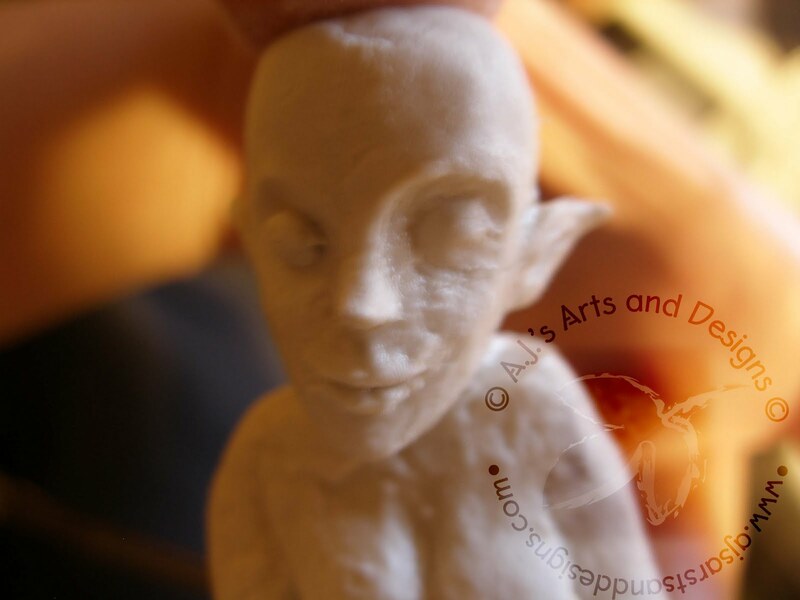 The clay itself is light and dries quickly (the fairy cured within 24 hours) and the best part is that you can dry it with a hairdryer if you need to speed up the drying time. 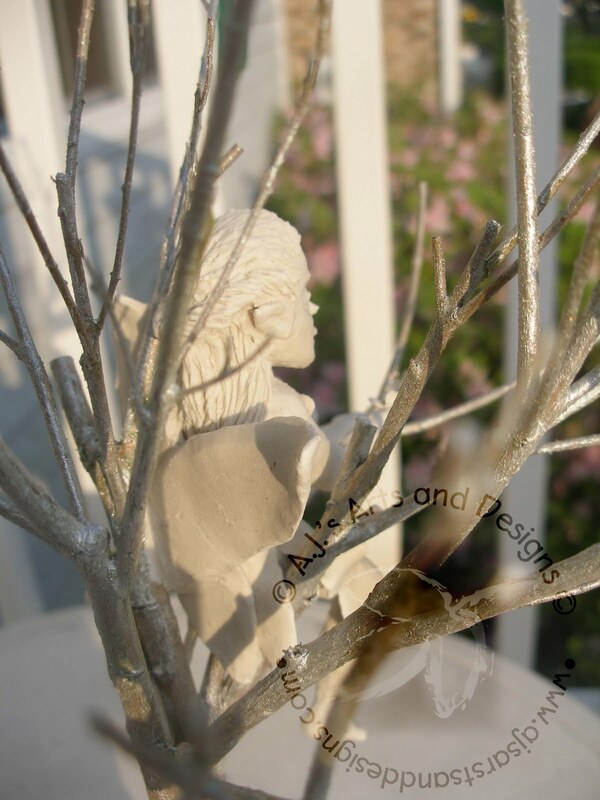 ****Please note I purchased or found all items in this project. 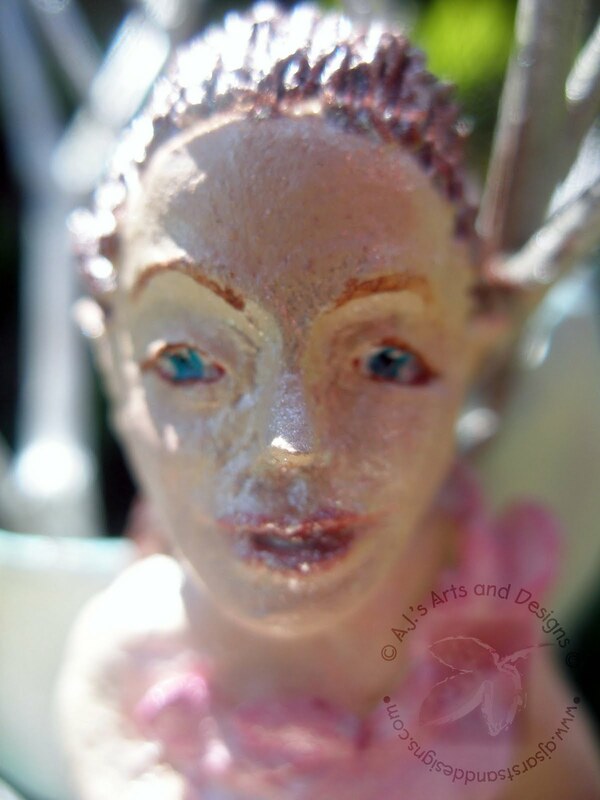 I was not given any item from any vendor or sales representative from any company.